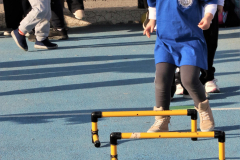 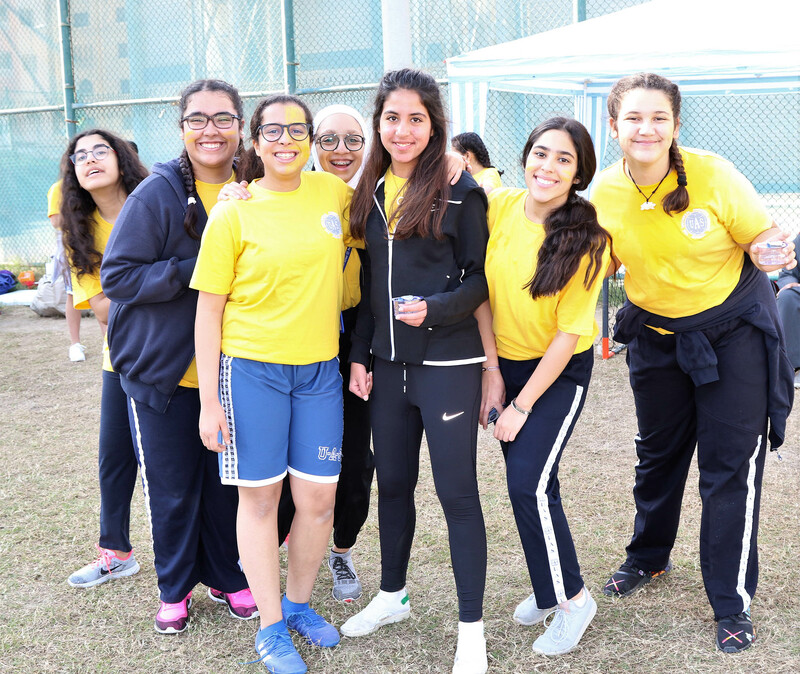 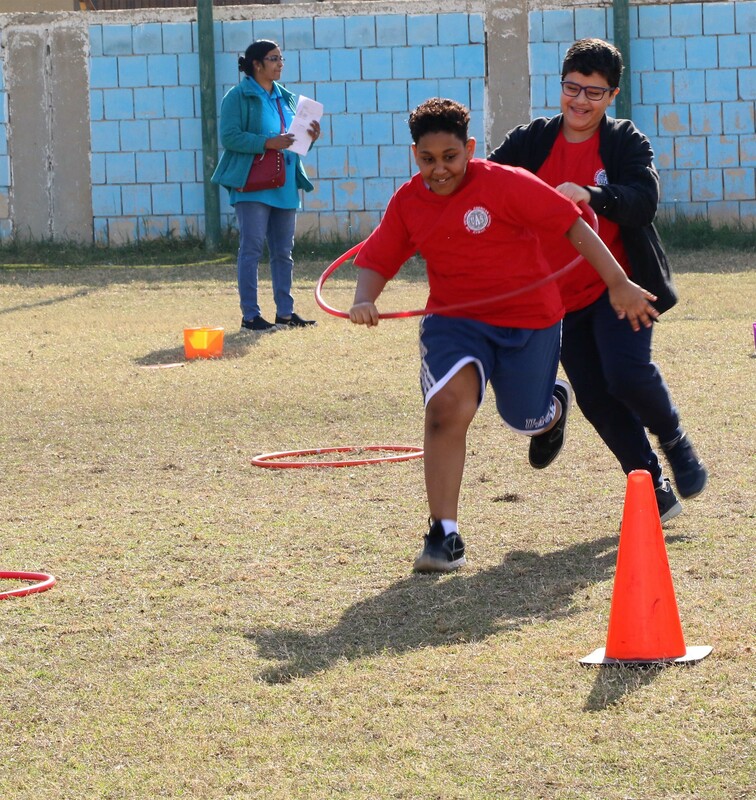 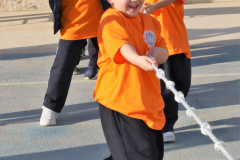 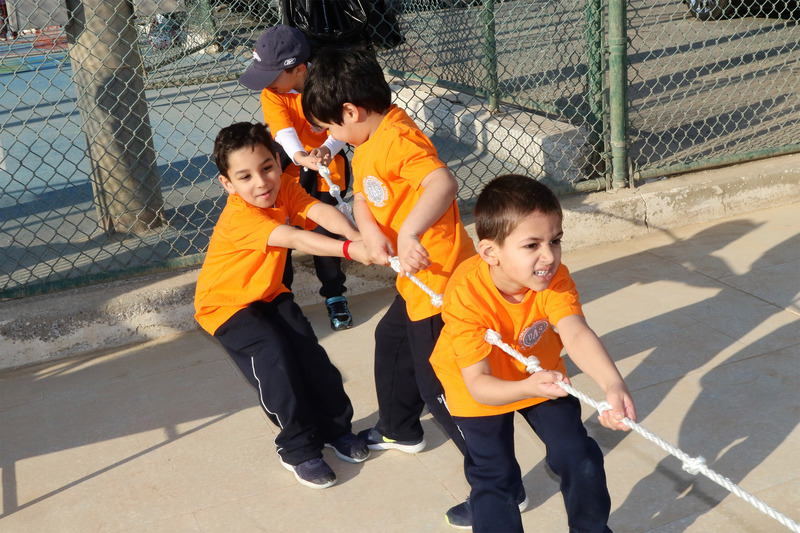 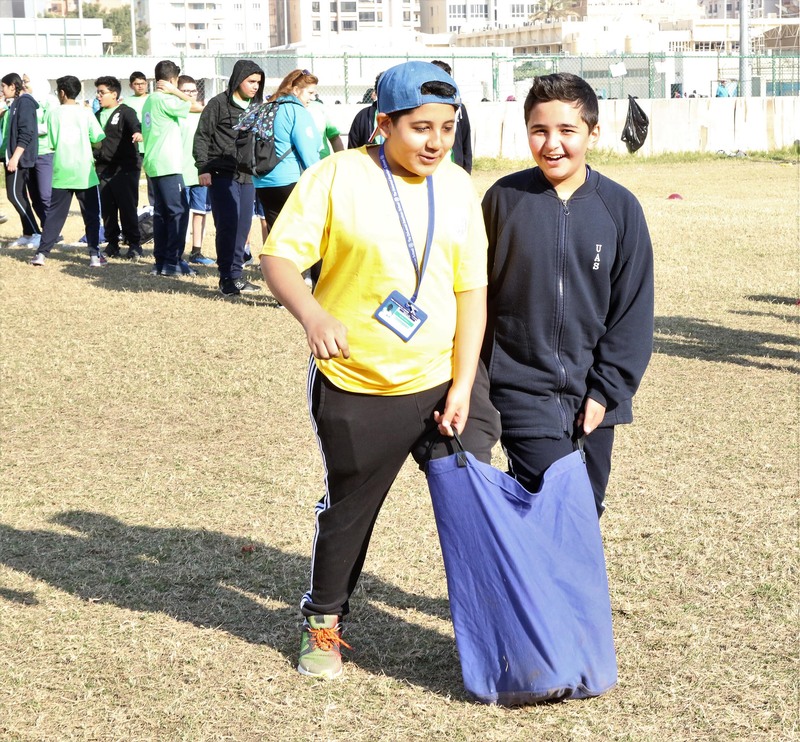 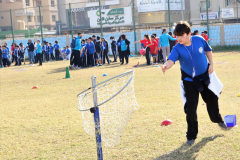 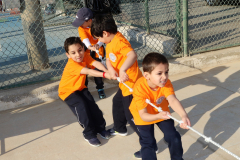 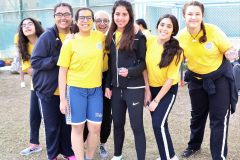 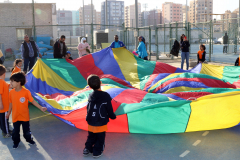 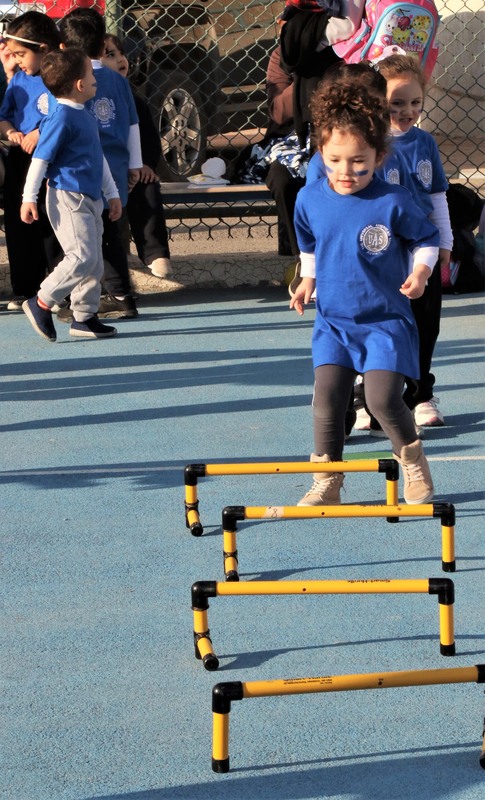 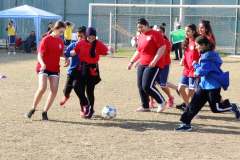 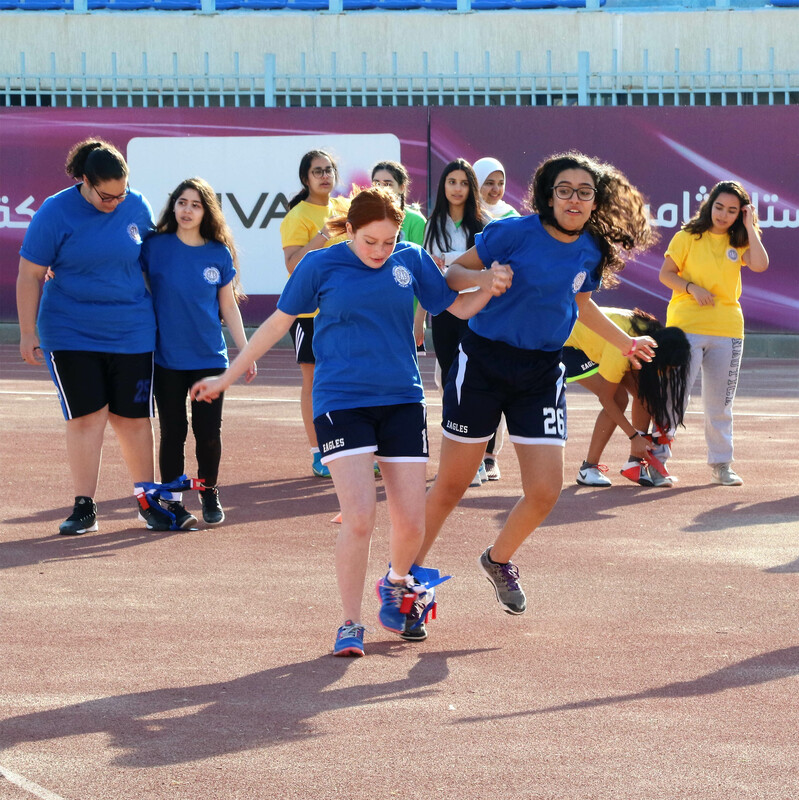 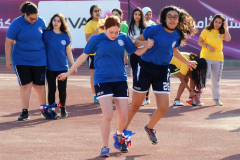 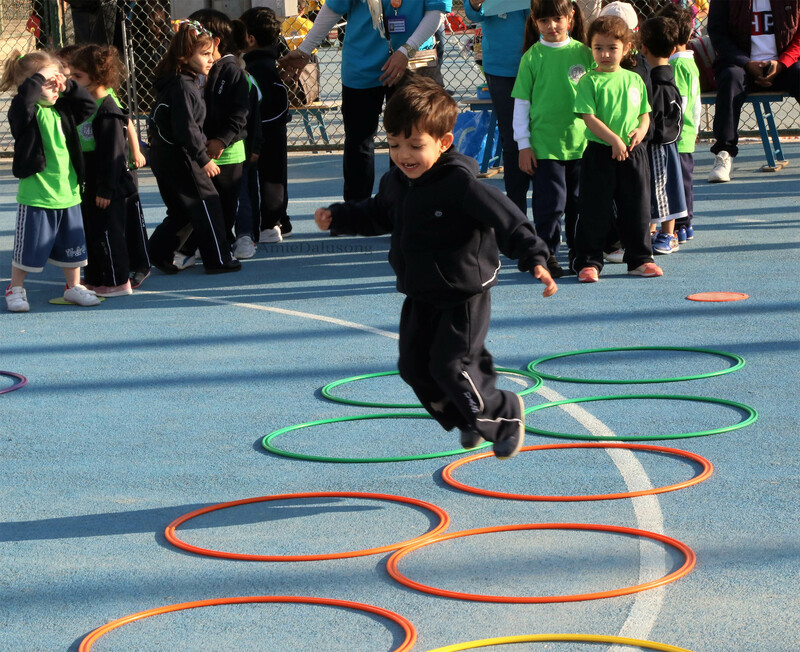 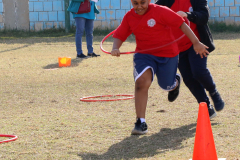 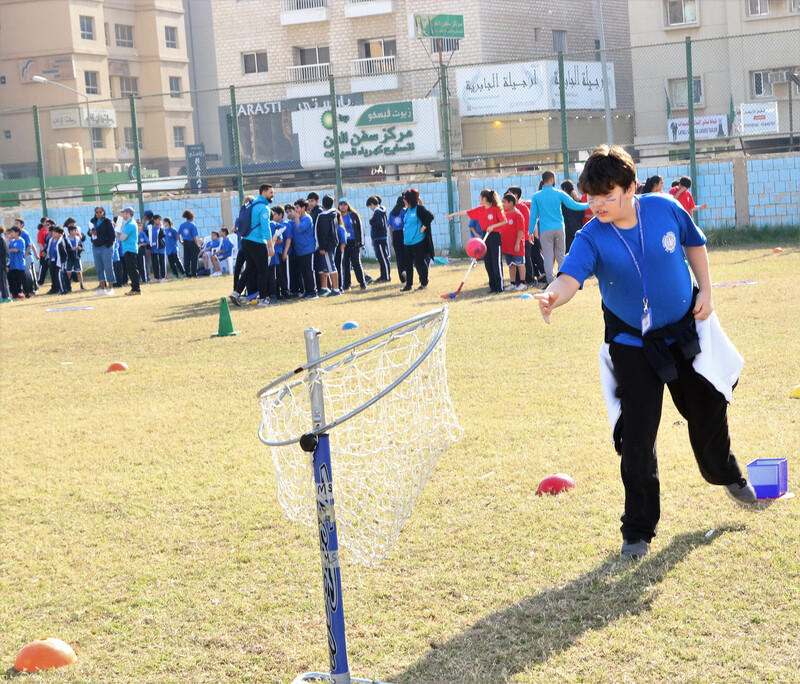 Thursday, February 7, 2019 was the Annual School Sports Day which includes the Kindergarten Department. 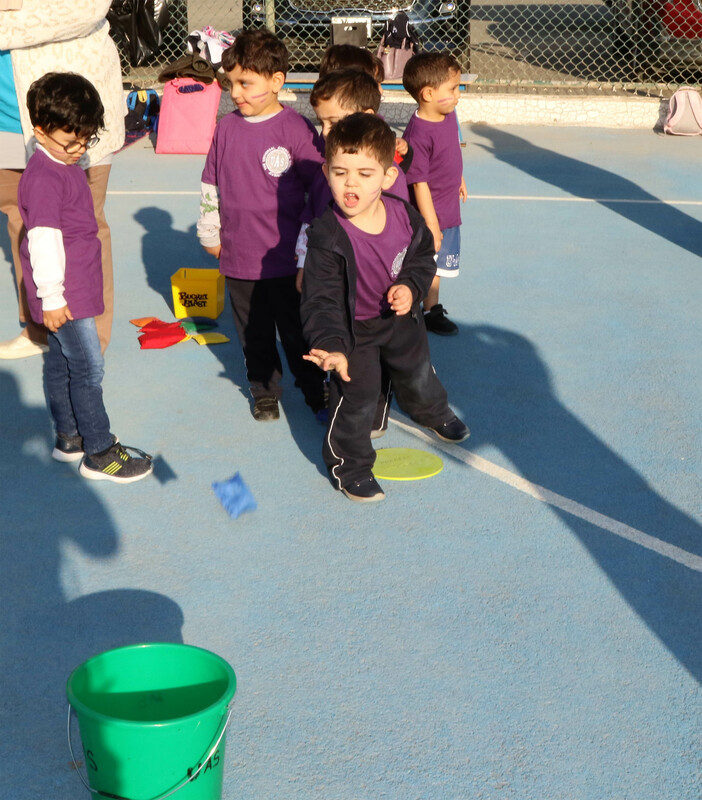 The weather was cool and brisk as the Kindergarten children arrived in their class T-shirts which filled the courts with a sea of team colors. 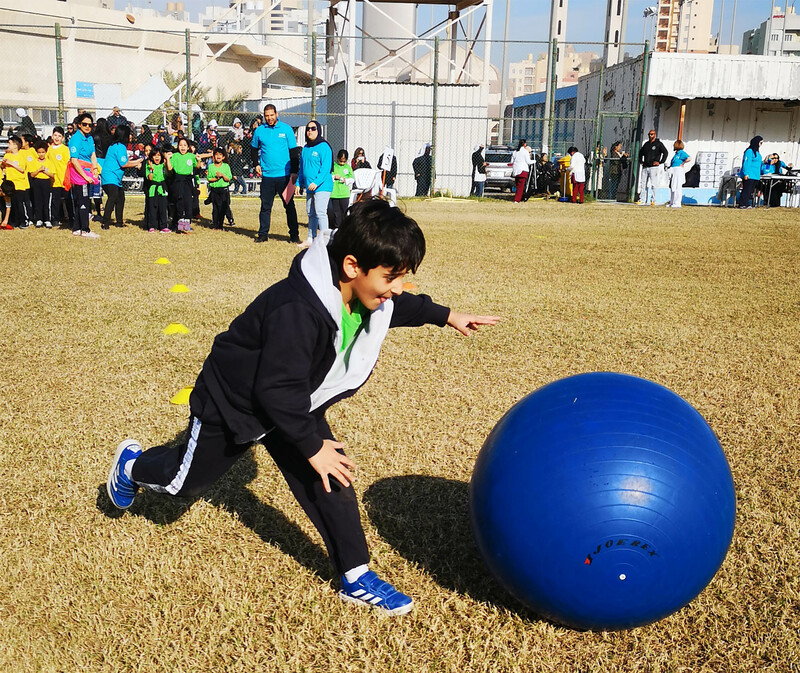 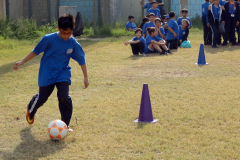 The children were all ecstatic to start the games which included games like football, even a grandfather decided to have fun and joined in as the goalie. 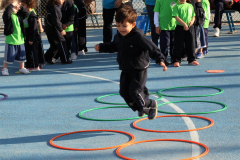 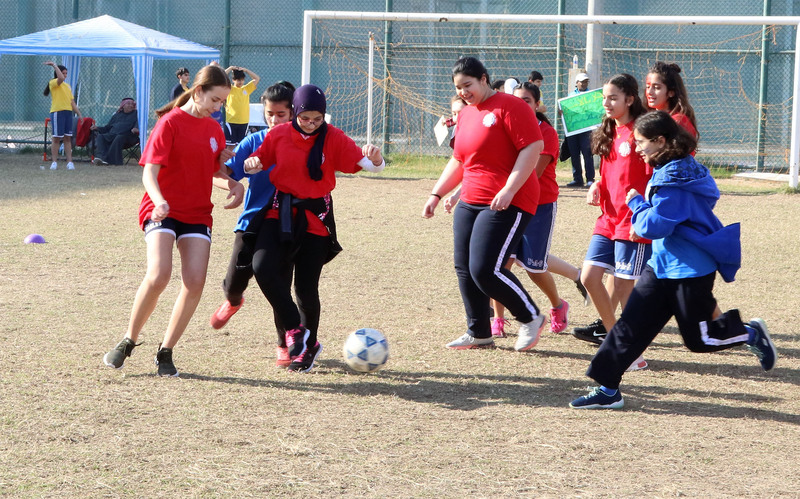 The children travelled around from game to game and the parents joined in with many of the games. 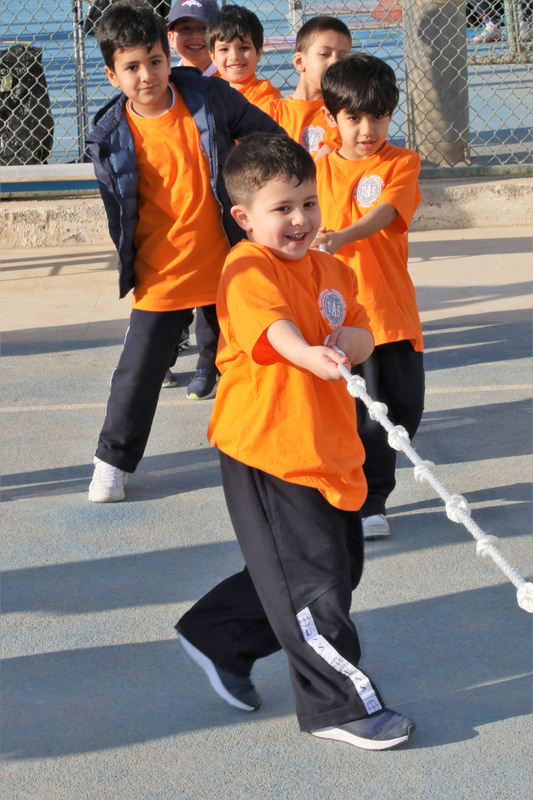 The most favorite game of the day was tug-o-war. 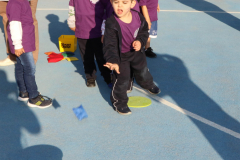 The day ended with a pizza lunch which included a balloon. 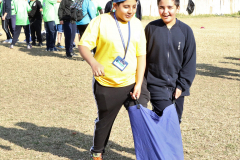 It was a great morning and fun was had by all.